‘The Stormers don’t understand that an attacking lineout 40m from the opposition line generally ends up in you conceding points. 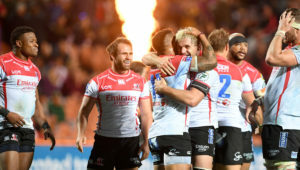 Five times it happened, and the Stormers ended up conceding three times. It was only through a knock-on from the scrumhalf and a lost ball in the tackle by Ben Lam that they didn’t concede again [in the first half]. ‘These little pop-gun kicks that go out on the 22 and you think you have saved yourself from the pressure. The Stormers really don’t understand the danger they put themselves in against any decent team. 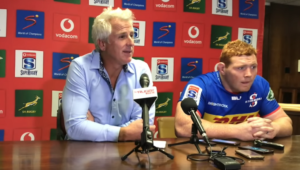 ‘The Stormers’ driving maul, which we spoke about before the game, was going to allow their forwards to be dominant. It is not particularly attractive rugby, but it is effective rugby against a side that haven’t got a great forward pack. There was some good organisation there from [scrumhalf] Herschel Jantjies. 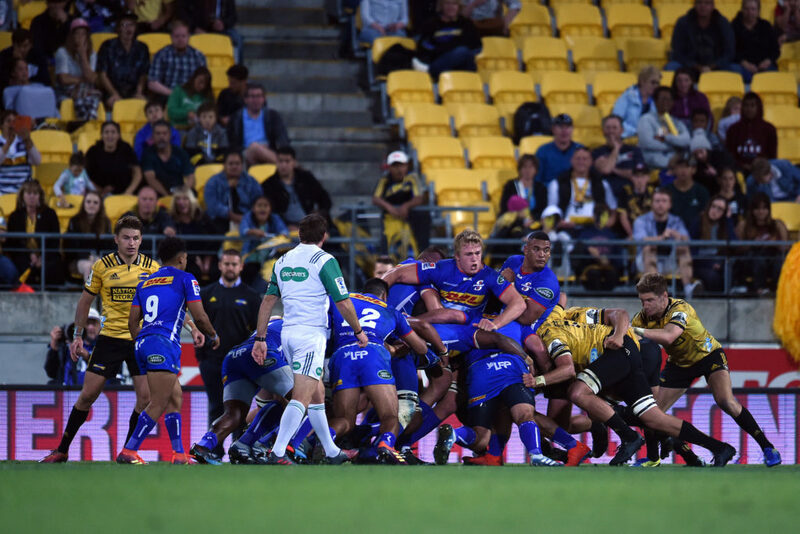 ‘Strangely, the Hurricanes pushed the Stormers into the midfield, which is exactly where you shouldn’t push the maul. That allowed Siya Kolisi to break away and score. That is basically their attacking plan: kick deep and use driving mauls and take your penalties. Whereas the Hurricanes produce [something] a little bit different. ‘That was brilliant play by Lam off a turnover. He gets away from Kolisi. But if you have a look at Dillyn Leyds, he turns his shoulder and only gives him the touchline. So he only gives him one way to go and he has enough pace to catch him and even though Lam is much heavier, Leyds makes a leg tackle and takes him into touch. That saves a certain seven points with an excellent tackle, so well done Dillyn. ‘For most of the game, the Stormers just had one-off runners off nine, entirely. That was their whole attack after they did not manage to consolidate the maul, and they had to play it. ‘When they did exit, they exited very short, with short kicks. I understand that they wanted to try and contest against the Hurricanes lineout. But the Hurricanes still managed to win their lineouts, even though it was scrappy ball. Once a New Zealand side wins the ball in the lineout, they don’t use it as a stable base, they use it as an opportunity to put runners in a one-on-one situation. On a number of occasions they managed to do that and score tries. 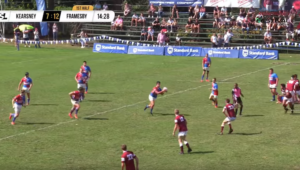 The initial possession was given off that lineout, even though it wasn’t very clean, it still gave them possession, which allowed them to get into the situation to score the points. My feeling is don’t give them that situation or initial possession. ‘What you should be doing is holding on to the ball and try to get a penalty. If you don’t get a penalty, then move it to a kick for distance. I know the Hurricanes counter-attack well, but presumably our defences are reasonable and we can keep them out. 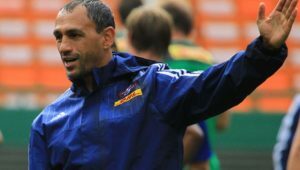 Mallet was not in the studio for the other Vodacom Super Rugby games involving South African teams.